The Boggo Road prison had many neighbours over the years, but none caused as much of a stink as the Eureka Sanitary Company. 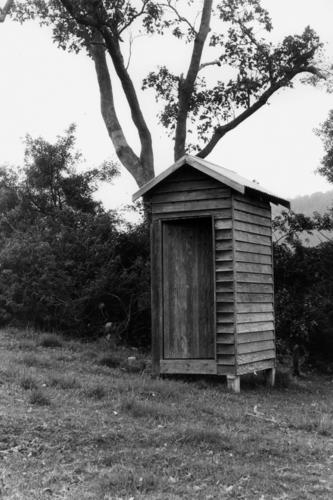 From 1889 onwards the Company had a contract with the South Brisbane council for the removal and disposal of 'night soil' collected from the outhouses of the local area. 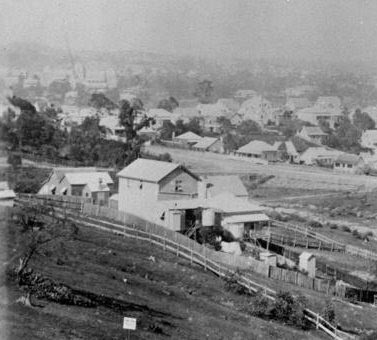 Their sanitary works, located between the prison, the railway line, and the animal pound near what is now the junction of Annerley and Gladstone roads, was the final destination for all the poop in South Brisbane. In modern times when flushing a toilet is about as much thought as most of us have to give to waste disposal, it is easy to forget that once upon a time it was somebody's job to actually come and cart that stuff away from your house. "Deep bogs and stinking cesspools festered everywhere. There was no piped water supply, no sewerage, no heating or lighting except that provided by firewood, candles and whale oil lamps. The perfume of nearby abattoirs drifted on the wind. Typhoid and worse diseases ran rampant, especially in narrow streets where jerry built slum tenements jostled for light and air." 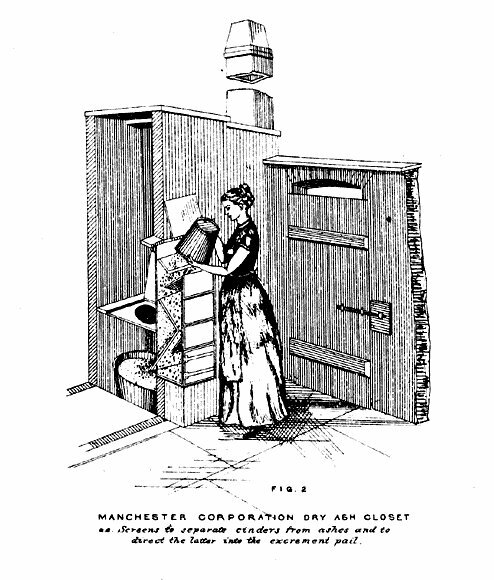 The earth closet and sanitary pan system was introduced shortly after this time, with the waste falling into pans under the seat and often covered with soil or ashes. These pans were emptied, supposedly washed, replaced, and the waste taken away on horse-drawn carts by 'night soil men'. The more-expensive 'double pan system' saw the dirty pans swapped for disinfectantly-clean pans each time. During the 1890s the Eureka sanitation workers poured a strong solution of carbolic acid into the pans before they were emptied, and also rinsed the new pans with the same acid. 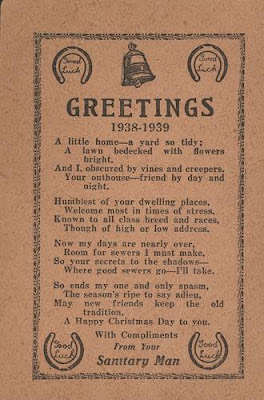 There were many variations on the outhouse. The type above was used in Manchester circa 1884. Of course a problem with this system is 'what happens next?' In some places during the 1860s the waste was sold off as fertiliser, but the incineration method used by companies like Eureka was more common by the 1880s. The resulting smoke could hang over the immediate area and led to many complaints from locals and even prisoners. Some prominent residents of Brisbane lived nearby in the grand houses on the high ridge of Gladstone Road, and they were none too impressed with their neighbour. In 1892 a deputation of local people, including future (1896-98) South Brisbane mayor Abraham Luya, petitioned the colonial secretary about the problem, claiming that the 'horrible stench' and pollution from the works was ‘a nuisance and injurious to the health of all the inhabitants of the district’. The complaints resulted in the council prosecuting Eureka for ‘causing a nuisance’ and the company was forced to upgrade their works. found during the Dutton Park dig. The Eureka company also disposed of other household rubbish by burying it in the big recreation reserve across the road, in trenches dug by inmates of the prison. This practice, which was described as creating ‘eyesores in what would otherwise be spots of sylvan beauty’, was stopped in 1892 following complaints that ‘soakage’ from the trenches was percolating into the South Brisbane Cemetery. 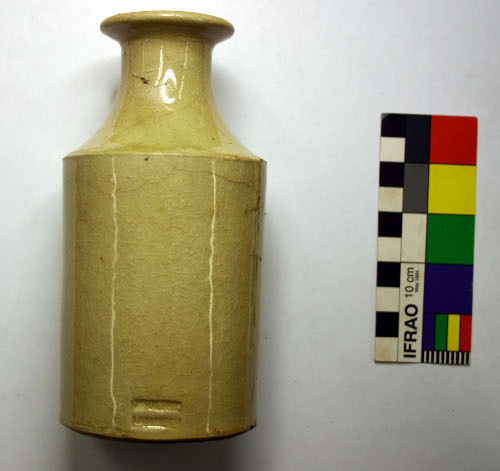 Many glass and ceramic objects including, crockery, clay pipes, storage jars and various glass bottles, were found here during an archaeological dig in preparation for the construction of the Schonell Bridge in 2005. The archaeologists found material from two time periods, the lower layer containing items from the later decades of the 1800s, and an upper layer containing 1940s artefacts. Where good sewers go - I'll take." 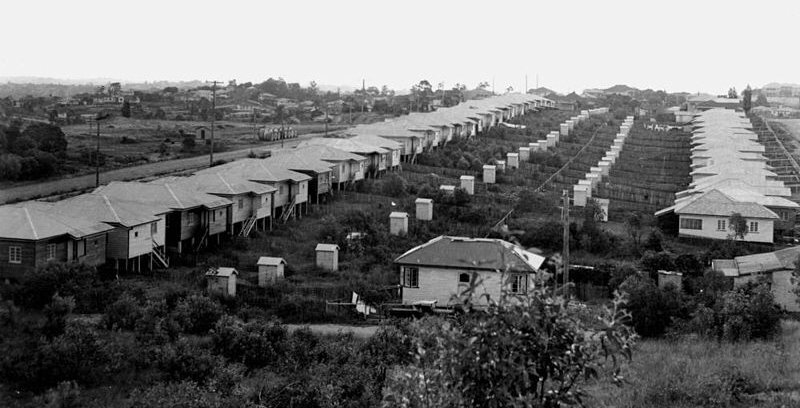 Outhouses can be seen behind these rows of houses in Norman Park, 1950. 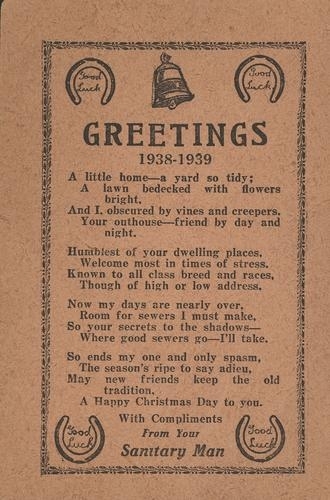 For the residents (and prisoners) in Dutton Park, the demise of the sanitary works was more than welcome. 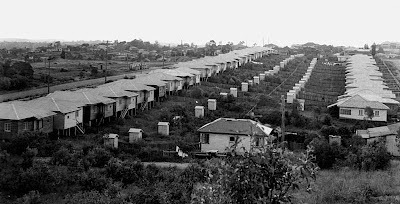 There again, the inmates of Boggo Road's No.2 Division had to endure the indignity and discomfort of using tin buckets as toilets in their cells until the place closed in 1989.